The hubs found them on Saturday August 4th. He went outside to water and came in with the news. "we have cats" - I knew what that meant. I could not get outside quick enough to see how many we had. 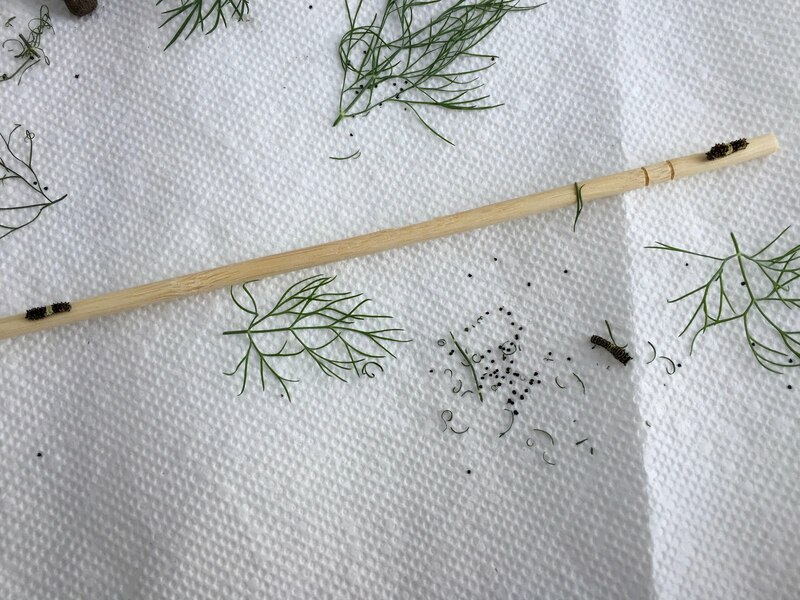 9 baby swallowtail caterpillars...planting all that dill had paid off. but they are in good hands, and a safe place. I have them sitting close to the window, with a great view. I took this picture today of 3 of them, they seem to love the chop stick. All 9 are growing and appear to be healthy. They are climbing all over the place and eating like crazy. It will be fun to watch them Debbie. Keep us posted. hi marie, dill goes in, that's what they eat...is that what you meant?? Hello, it is exciting. Being able to watch the whole process. I love their cute home. Happy Tuesday, enjoy your day! Oh Debbie how wonderful! I can’t wait to see the mature butterfly. My compliments for what you are doing! That is something I would really like...I adore butterflies. Please keep us updated. All the best to your cats!!! Oh my goodness! They are so tiny and cute! Well, you'll have your work cut out cleaning after these 'cats'! heehee! I can't wait to see how they do! Keep us informed! Hugs! Interesting post.Are they able to survive this way? !So neat.Thanks for sharing.Hugs! I know you are taking lots of pictures so I hope to follow their growth via the blog. Fascinating to say the least. Your babies are doing what all babies do -- eat, sleep, and poop!! Fabulous. I didn't know dill was a great host plant. Will mention that to my daughter!!! Ours have all left for the year. We did collect some Monarch eggs for a friend and I am sure she will have fun raising them. Eating and pooping is a good sign! I hope they do well! Oh - very exciting! I can't wait to see how they do! Oh, I am excited again to follow these posts. I love how you work witht them and your loving care. The end results are always so beautiful. They are in good hands and should thrive! I have such a good time following these posts. I'm thankful you share them with us. It's so fun to see the transformation and I always learn something! 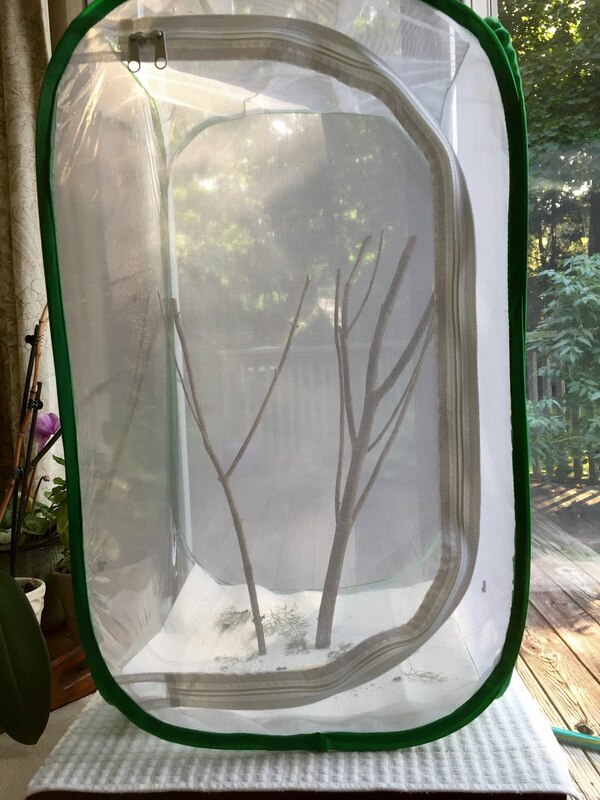 I am happy to share that I have tons of monarchs swirling my patio this year! 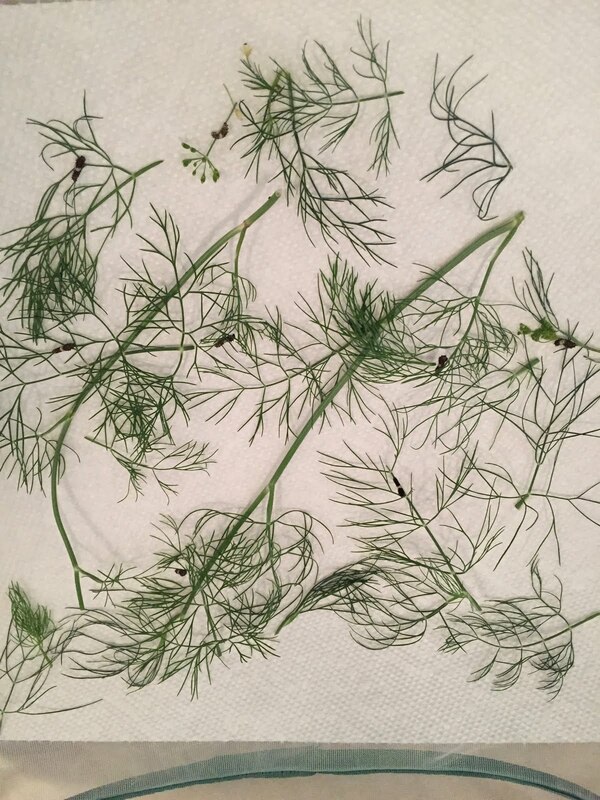 Oh how fun, it will be so neat to watch them grow :) Great timing that your dill is ready to be use too! Oh, that's awesome! This will be fun! This is new to me - dill for swallowtails - but then I don't know a lot about butterflies … I look forward to watching their progression!